Ever since its early start, Televes business approach focused on cutting-edge industrial technology applied to the manufacturing of highly technological and unparalleled quality products; the philosophy of process continuous improvement is inherited by all the subsidiaries that join the group. The high degree of robotization and automation in our manufacturing premises provides us with a solid ground on which to focus our investment efforts to achieve an industrial environment where components, products, processes and people communicate to create an automated and efficient productive ecosystem. It is the so-called Industry 4.0, in which the Televes Corporation will promote a competitive and sustainable productive environment. The concept of the Internet of things and services is born focusing on the massive introduction of ICT devices. The aim is to create a decentralized, automated and configurable ecosystem where interconnectivity between the final user and the factory is the priority. Knowledge is what transforms the production systems into intelligent lines. Evolution from a scenario in which the operator performs repetitive tasks to a scenario where the operator adds value to the production chain. 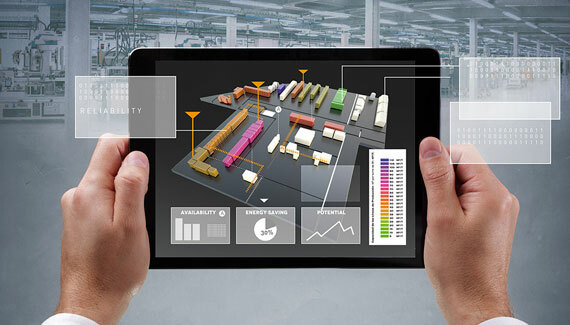 Production processes equipped with real time sensing systems using computer vision and object recognition. Automated measurements on 100% of both product and productive environment. Televes will continue its practice of adding intelligence to automation technologies.